Tidel Park Coimbatore Ltd has recently announced its recent recruitment. Recruitment has announced For The Assistant Manager And Technical Assistant Posts In Engineering Segment In Tidel Park Coimbatore. Want to know more details. Now you can check below all details. TIDEL Park Coimbatore is an information technology (IT) park in Coimbatore, India. It was set up in 2006 to foster the growth of information technology in other districts of Tamil Nadu by TIDEL Park Ltd, a joint venture of Tamil Nadu Industrial Development Corporation (TIDCO) and Electronics Corporation of Tamil Nadu (ELCOT). 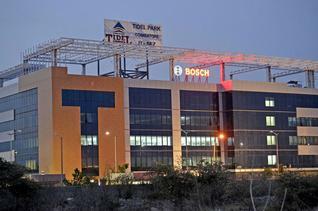 The name TIDEL is a portmanteau of TIDCO and ELCOT and also named after TIDEL Park at Chennai. It is the country's largest single building IT park in terms of built up area. TIDEL Park Coimbatore is located in 9.5 acres of land at ELCOT SEZ near arterial Avinashi road behind the Coimbatore Medical College in Peelamedu and 4 kilometres (2.5 mi) from Coimbatore International Airport.